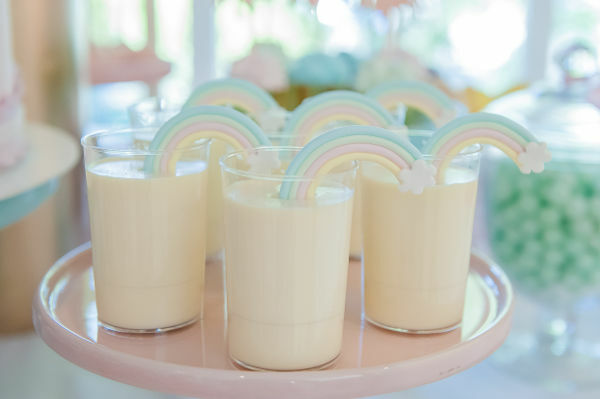 This sweet party is a blast from the past for many of us. Many will wistfully remember the days of playing with the characters from My Little Pony. You’ll be thrilled to know the younger generation is equally enamoured with the pint-sized equines. 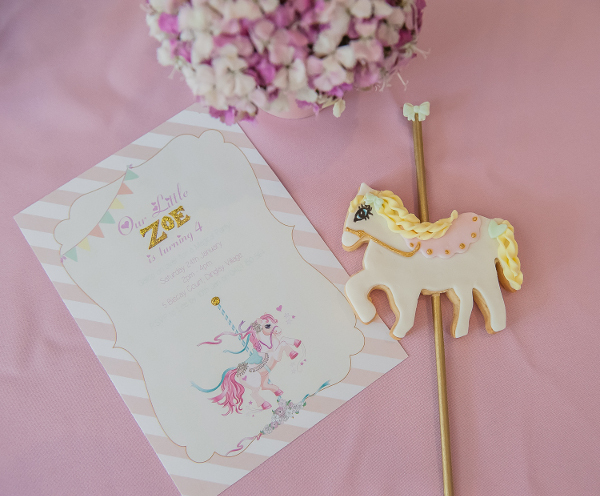 And just quietly, this professionally-styled pony party will knock your socks off! 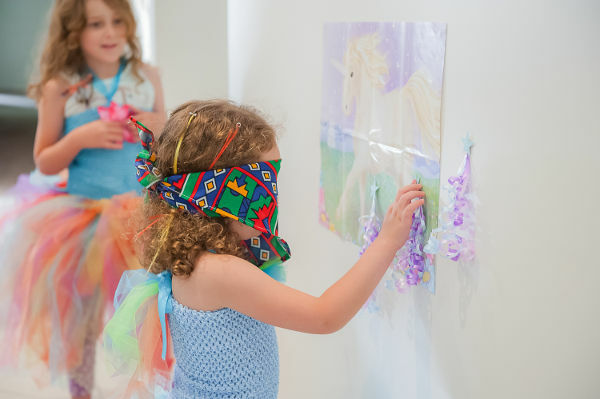 Four-year-old Zoe is a big My Little Pony fan, so there was really no other choice for her birthday. 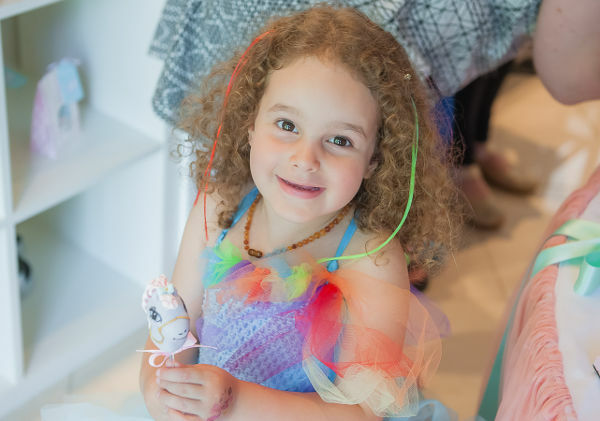 Her family had a grand vision for the celebration, and the event stylists from Styled By Belle certainly brought it to life. 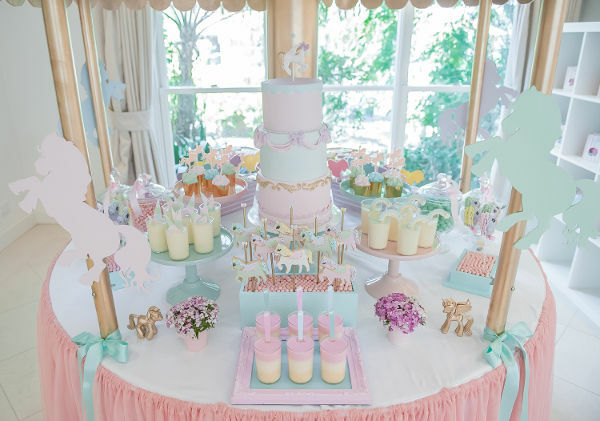 While My Little Pony was the inspiration for the party, Belinda from Styled By Belle dreamt up the theme of a carousel party – with pastel ponies adorning the ride. 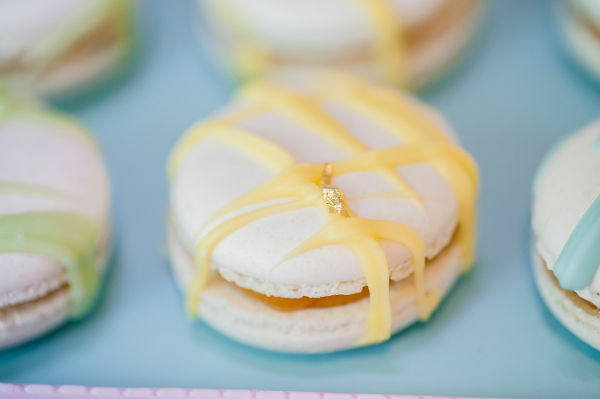 Some of Melbourne’s best dessert-makers were enlisted to ensure the dessert table carried delectable morsels worthy of the stunning carousel they rode upon. 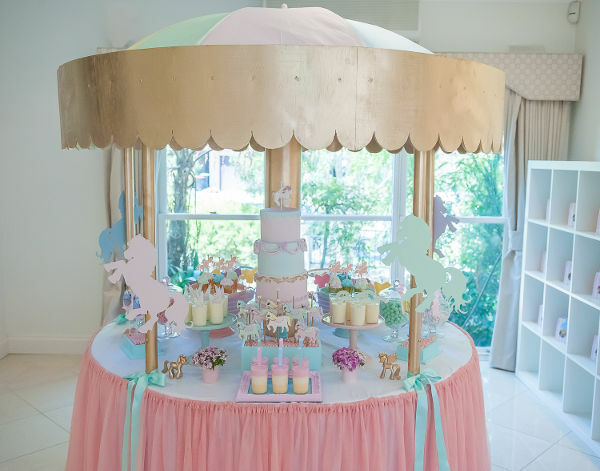 The round table was custom-built with a canopy, and guest were able to tour the would-be carousel and delight in the desserts, which were as much a feast for the eyes as they were the taste buds. 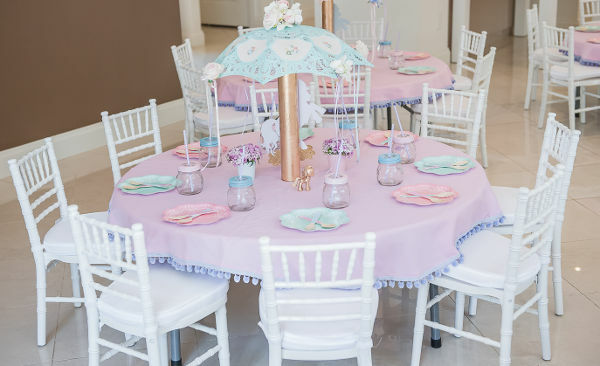 And how is this for amazing – there’s an online virtual tour which will take you around the incredible carousel table and party set-up – it’s well worth a look! But let’s get down to the fun stuff – party games! 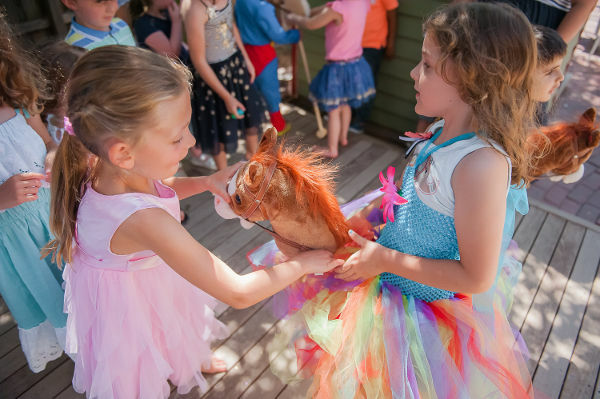 The guests were treated to pin the tail on the pony – with gorgeous little tails made from curling ribbon. 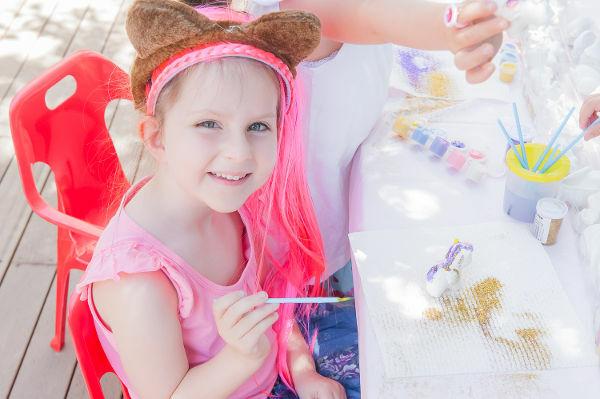 There was also time set aside to paint plaster ponies, and a “pony grooming station” had party-goers riding high, with rainbow hair extension clips, faces painting and pony tattoos. Lunch was, of course, pony-inspired, with fresh apples, carrot sticks, hay stacks (which were simply dry noodles) and fairy bread cut into pony shapes. 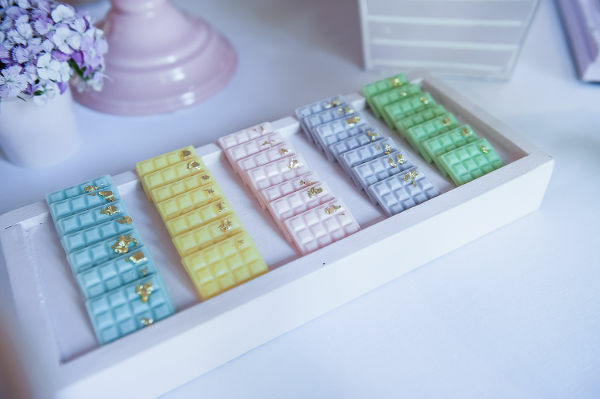 And who would have thought that at the end of a muted pastel rainbow, there’s a delectable dessert?! After all of that delightful party food, the kids were able to get up and active with races on pony sticks. 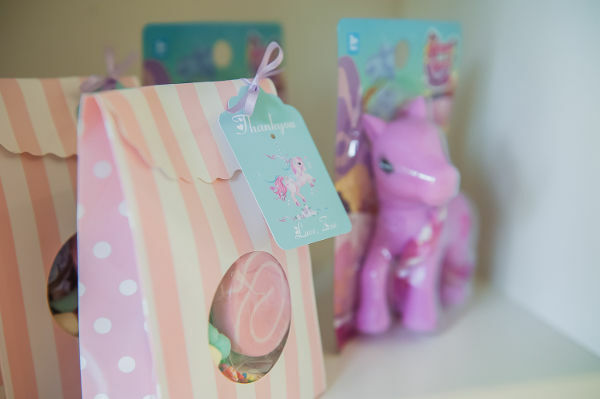 The very lucky pony party guests were sent home with lolly bags and a pony toy, which were bargains from Kmart for just $2 each. Whew! What a celebration! Do you love it? Do you want to replicate it? If you’re keen to know where some of the party finds were sourced, we’ve got a handy list below.